Both charts reveal the index to be in a terminal 5th Wave with divergences in the Elliott Oscillator (bottom indicator). However, both remain in Trend Model LONG mode. The conclusion drawn from all of this is that while the rally is still in force, the pattern is consistent with the end of 5 waves up to be followed by at a minimum, a significant ABC correction. What will trigger it? 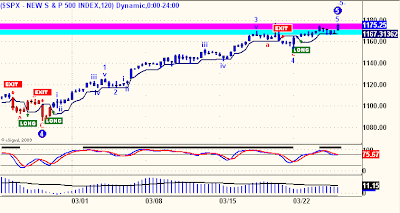 My working hypothesis is an SPX 240 minute Key Reversal Trend Sell Signal. But the 60 minute and 120 minute models must turn down first and that has yet to happen. When those flip, I will be on high alert to go SHORT. A broader measure of market momentum, the Russell 2000 showing the same divergences but much closer to turning down. 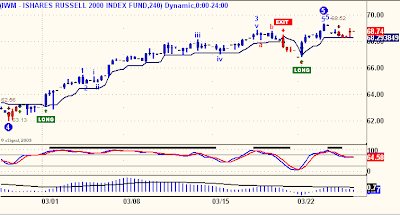 This index may be a leading indicator of the expected turn down in the SPX. But like the SPX above, this index is still in an uptrend and until it flips Short, all of this remains idle speculation. Bought 700 May 7 calls on TZA, I think this is pure manipulation into qtr end. What possible upside targets do you have? Holly - no one knows what an ABC correction will look like ahead of time, but generally it will be three legs, A-down B-up and C-down retracing some of this year's rally in stocks. It could be deep, or shallow, or as some are suggesting, not a correction at all, but a new bear market. Enter my Daily Trend Models. 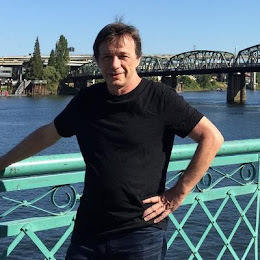 They know nothing of Elliott Waves and/or ABC corrections, they are designed to identify confirmed trends and the logic here is to be on the same side of the market as the dominant trend. 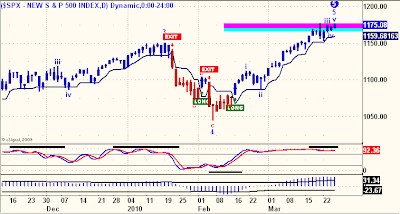 Despite my idle speculation from time to time of imminent declines ahead, the dominant trend has been UP for some time now and that is all we need to know to make money in the market. So, ignore idle speculation and be aware of the trend and be confident that if that trend changes there will plenty of time to get on board on the way down. Until that happens, enjoy the rally. Natural Gas has plunged even more. Down a lot today. Broke the 4 handle. Allan, the timing zone your system is waiting for,might be correlating this month with the upcoming full moon timing reversal zone Ive been watching . Did your system forecast the last big reversal back on feb 8 ? (the timing zone from january 31 to feb 5 or feb 8 ? Did it have any similar look to it like the way it looks now? 'Idle' ..... not at work,or engaged in action. 'Speculation'....a message expressing an opinion based on incomplete evidence. "The peculiar old fellow was twiddling his thumbs,in a mental stupor as he stared up at the full moon,wondering if this market top would reverse Down,soon ,as a coincidence of timing which the full moon had correctly foreshadowed in 80 % of last years lunar cycles." Friday and week is done. After two hard days down,from a high,overbought top,the market settled into a soft landing that couldnt have been more comfortable if they...."engineered it themselves"
Looking at the elliott wave structure for the down move from the top at 1180,on a (one month/30 minute chart, or 10 day chart,something like that) shows a very clear...couldnt be more clear if you engineered it yourself.... 3 waves completed // the ongoing wave is either ongoing 4 to complete an 'abcde',or a wave 4 completed at 1168....and ongoing wave 5 down completed subwave 1 down ongoing subwave 2 up ,with a fibonnacci target area of 1157 for wave 5 down to complete. Major s/r pivot point zone is at 1115 area. this would be the target for the big wave 3 down. wave 5 goes down (same basic distance of wave 1) 25 points...to 1110...and a soft landing to touch 1100 to complete the 5 wave down structure. that may hold at the key s/r pivot of 1115 and up she goes again. OR if market makes abc to hold at the 1140-1150 s/r points....up she goes again. 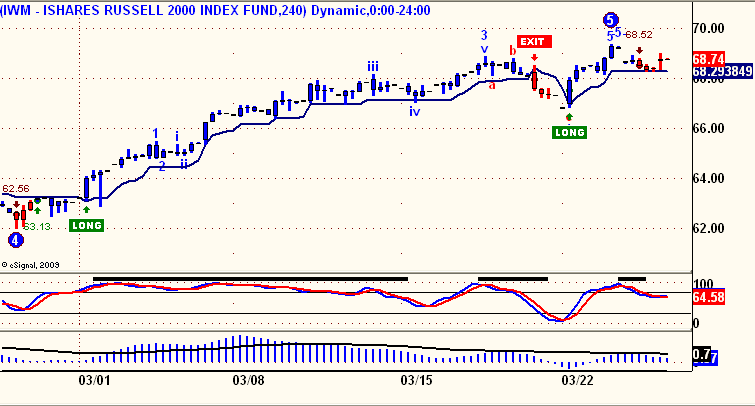 All this is SPECULATION ELLIOTT WAVE .... based on the already completed movements. Allan's system does all that work for him,without emotion or human weakness,or mental gyration. I do it in my head cause I have nothing better to do all day. watching the market all day ,often on a minute by minute basis....isnt that what the young Jessie Livermore did when he was a number poster,remember that story in his book? gets a feel for what the market is doing, or whats being done to the market minute by minute. Today was a very soft finish to the week. 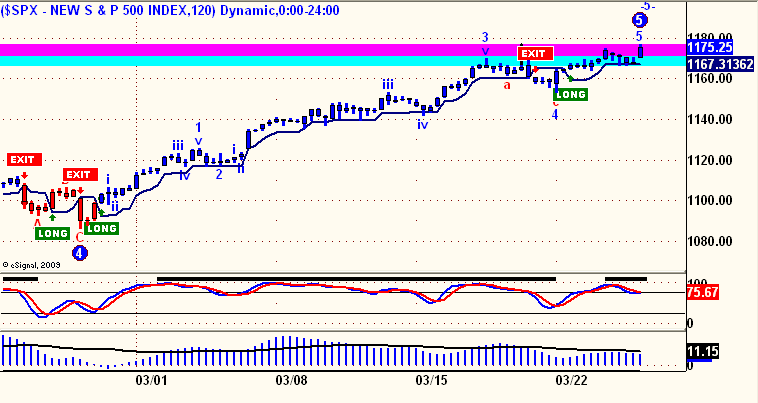 still, a 5 wave structure is not yet finished if its going to make a 5 wave down. If not,an 'abc' is still ongoing as 'abcde' to target 1170 area. this is all basic elliott wave stuff, and I know nobody's reading all this anyway. the original point anyway, is that the market feels like theyre generating a soft sell, to allay any panic fears. I expect this tempo and purpose to continue. softly down to 1100 at worst and maybe 1115 as a target for this correction.